Victor Soriano was born on Feb. 8, 1909, in the Isle of Rhodes. At the time, the Isle of Rhodes was under the possession of Turkey, and soon after of Italy. Victor was the second of five siblings. His parents were Félix Soriano and Catalina Junio, both Sephardic Jews. They emigrated to Uruguay when Victor was 9 months old. This explains why Victor considered himself Turkish, Italian, and Uruguayan. Once in Uruguay, the Soriano family settled in its capital city, Montevideo, in the historical district, where Victor chose to live the rest of his life. His father, an efficient and respected tailor, soon became popular among the Jewish community. His income quickly increased, and he gained great respect, especially after founding the first Sephardic synagogue in the city. Young Victor was a hard-working student who in 1925 was admitted to the school of medicine, from which he graduated in 1934. During his period as a medical student, he paid special attention to Prof. Americo Ricaldoni’s teachings of clinical neurology at the Hospital Maciel. 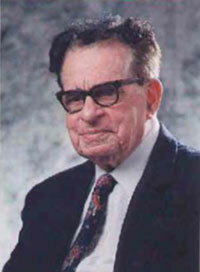 Prof. Ricaldoni was the first academic neurologist in Uruguay. Due to his efforts, the Instituto de Neurología of Montevideo was founded in 1926, having Prof. Ricaldoni as its first director. After graduating, Victor Soriano was appointed neurologist of the Instituto de Neurología in 1935. This was a challenging time for the institute, because of the absence of a leader after Prof. Ricaldoni’s death in 1928, scarcely one year after the inauguration of the new institute. Two years later, the authorities finally appointed Prof. Alejandro Schroeder as Ricaldoni’s successor in 1937. Prof. Schroeder started a period of reconstruction with the help of the few remaining neurologists, Victor being one of them. In 1939, Victor was promoted to assistant neurologist. Simultaneously, he was invited to teach neurology at different medical clinics in the Hospital Maciel and the Orthopedical and Traumatological Institute. In 1943, he was appointed associate professor of medicine. In 1939, Vlctor married Clara Benzecry (Clarita, as she was known). She was his wife and his efficient secretary as well and permanently encouraged him in all his activities, both social and medical. After Victor founded the Uruguayan Committee of Friends of the Weizmann Institute of Israel, it was Clarita who organized its meetings, which were held at the Sorianos’ home. Every Tuesday evening, she hosted scientific, literary, and musical events. In 1945, Victor traveled to the United States as a Rockefeller fellow, staying at Yale University with John Farquhar Fulton, Sterling professor of physiology, who appointed him instructor of physiology. Fulton inspired in Victor a deep and lasting admiration. In 1947, as visiting investigator of the Rockefeller Institute for Medical Research, he worked with Prof. Hiram Houston Merritt at the Montefiore Hospital of Columbia University. Since 1948, he attended with Clarita all of the meetings of the American Neurological Association (ANA). In 1950, he was named delegate for Uruguay to the Iberoamerican College of Neurologists. Victor and Clarita were regular attendees to the International Congresses of Neurology from the initial preparatory meeting in Lisbon in 1953 and the first official congress held in Brussels in 1957. At the congress held in Rome in 1961, Earl Walker of Baltimore, Giuseppe Moruzzi of Pisa, and Victor of Montevideo paid tribute to the memory of John F. Fulton, who had died the previous year. At that meeting, Fulton’s friends and collaborators decided to organize the Fulton Society, and Victor was elected as permanent president. This society commended its president to organize a special symposium, every two years, simultaneously with the World Congress of Neurology and the ANA meeting, where selected leaders of neuroscience should give lectures on advances in nervous system research. The first of these symposia was held in Atlantic City in 1965 and continued for many decades, sponsored by the World Federation of Neurology (WFN) and the ANA and organized by Victor and Clarita. 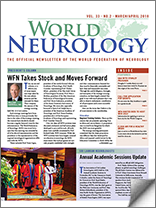 The WFN also has two related endowed lectures in every world congress of neurology. One is the Victor and Clara Soriano lecture and the second is the Fulton Symposium/Soriano lecture. At the most recent World Congress of Neurology in Kyoto in 2017, these lectures included “Grid Cells and the Medial-entorhinal Space Network” by Prof. E.I. Moser (Norway), “Defining the Future of Neurology – Japan, Asia and Oceania” by Prof. H. Mizusawa (Japan), and “Global Neurology Challenges and Way Forward” by Prof. and WFN President Raad Shakir (United Kingdom). Victor was the author of more than 200 scientific publications in different medical journals, covering different aspects of medicine. In neurology, he preferred epilepsies, spinal cord compression, and peripheral nerve pathology. He gave lectures in several countries in America, Europe, and Asia. Many neurological societies accepted him as honorary member. Apart from his chief interest in experimental and clinical neurology, he had many hobbies. Boxing and football were a part of his youth. He also engaged in sports journalism. In the attic of his home, he mounted an astronomic observatory provided with a powerful telescope, and he sought relaxation by watching the sky. On occasion, he invited schoolteachers and their pupils to watch the moon and the planets. During his last four decades, he devoted much of his time to medical journalism, publishing in the most important newspapers of Uruguay weekly columns on different subjects: sanitary education, innovations in medicine, historical aspects of medical practice, with the intention of popularizing and simplifying medical knowledge. He loved all kinds of music, instrumental and lyrical, but he was also an admirer of the typical music of Uruguay and Argentina and its poetry, being able to sing from beginning to end the most popular tangos.